Here’s some video from various “Hitchhiker’s Guide to Jack Kerouac” appearances . . . in the order the pieces appear in the book . 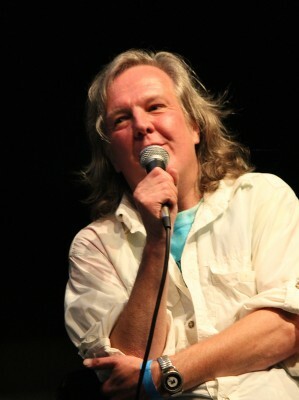 . .
Here’s the full (and funny) “Hitchhiker’s Guide to Jack” talk at The Beat Museum’s Beat Shindig in San Francisco in 2015 . . .
Talking about how the book came to be written . . .
Here’s part of the opening Chapter . . .
Here’s the start of the “Meeting Your Heroes 101” (ch. 4) with David Amram on keyboards and Kevin Twigg on drums at the Lowell Celebrates Kerouac festival October 2016 . . .
Here’s the next part from “Meeting Your Heroes” with Jack Micheline and Andy Clausen . . .
Or here it is in 2016 from Brother George’s stage-side camera . . .
Here’s hanging with Herbert Huncke on the Chautauqua porch (ch. 12) . . .
Here’s the Dead at Red Rocks scene (ch. 14) — in a Red Room and ad hoc improvised in chaos like an Acid Test with a rock band. with The Mark T Band at the Crimson Room in Toronto, and special guest Raina — Oct 23rd & Nov 13th, 2015. And here’s the excerpt from the book that sets up that Grateful Dead Red Rocks performance in ’82. And here’s a killer, wild-ranging radio interview with Jake Feinberg — Saturday, Nov. 14th, 2015 — the day after the above performance … and the host opens raving about that very Dead show! Here’s the funny Al Aronowitz – Allen Ginsberg showdown from the final night of the conference (ch. 24) . . .
Here’s the first time I set foot on Kesey’s Furthur Bus at his farm in Oregon (ch. 30) . . .
Filmed at the opening of the Merry Prankster / Twanger Plunkers Family Reunion — April 29th, 2016 . . . The “meeting the original Bus” scene at Kesey’s (ch. 30) . . .
And here’s some Rolling Stone Book of The Beats, and other stories and poems . . .
Or here’s some Jack himself . . .
For a more complete collection of various Brian videos, go here. 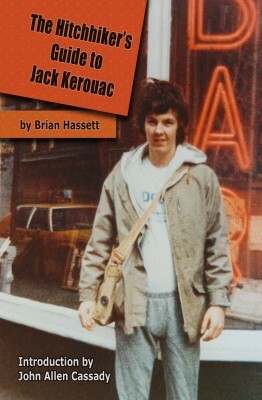 For reactions to The Hitchhiker’s Guide to Jack Kerouac, check this out. For a whole second round of readers’ reactions to the book, check out these! Or here’s a ton more of the raves that came in from all over the world. You can order a copy of the book here or here or here or here. For an excerpt — check out the Meeting Your Heroes part here. Or here’s some background on exactly who all was there. Or here’s another except — about Edie Kerouac Parker and Henri Cru. Hassett is spontaneous w/ a master plan, always freewheeling and energized. That radio interview is like an all nighter w/ Jester w/o the libations. Informative, manic, always profound — one hundred percent pure Hassett! You keep going til there is no more go. Always. Great memories. In the first clip, Gubba’s fat head blocks the stage momentarily, then I blurt out “Let the good times roll” before Spirit can get to it! Also a distinct Gubba chortle off stage as she shakes her booty! Eeee-ha!! Brian’s back on stage! The world needed this, man. Keep that Beat boppin, B-ster!